WOW guys, I have been DYING this past month to tell you about the MyCouponKeeper Coupon Organization System. 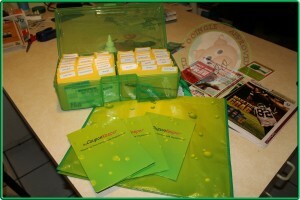 The folks over at MyCouponKeeper sent me the MyCouponKeeper Deluxe System to try out and review. They are also being so very gracious, and letting me giveaway ONE (1) MyCouponKeeper Deluxe System to one lucky reader. I have been using it for a little over a month and I am LOVING the fact that I can take my coupons with me again, I can’t begin to tell you how many clearance deals I missed out on because the coupons I had with me would only pertain to what I was actually shopping for. I am transitioning from doing the Insert filing method, but when I first started couponing I used the binder method. I work full time and my time at home in the evenings is very limited and I found that the time it was taking to clip all the coupons and then put them in the binder pages was just so time consuming. The clipping not so much, but the putting in the pockets always seemed to take forever. So with the MyCouponKeeper system I am back to clipping my coupons, and now it is just a quick step of dividing them between food and non-food, and popping them in their categories. The system holds over 1800 coupons!! I currently have all unexpired coupons from 08/04 – 09/29 in mine, so nine weeks worth of coupons PLUS printables and I still have room. I purchase four papers a week, so this easily can be used for someone who is out to stockpile shop for sure. The dimensions of the box are just the right size to fit in any stores shopping cart seat, enabling it to be right there to find those coupons for that next hot clearance deal. The Deluxe System includes the sturdy MyCouponKeeper Plastic Box which is divided down the middle, 48 durable PVC dividers, 55 Pre-Printed Category Labels, and two adjustable dividers for the back of the box to help support coupons when the box is not full. 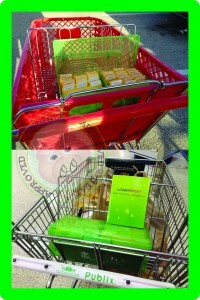 You also get 3 Purse-sized Mini Shopping Folders to put your coupons in for when you are planning a shopping trip. One side is for the coupons you plan to use and then you transfer the coupons to the other side as the items go into your cart. Now that the box is pretty full I have still left the hard plastic dividers in the back BUT they are no longer in their slots, I use them to keep rain checks and my $5 off $30 coupons separated from the rest. They also include this very nice reusable bag, it is big enough for the system to fit inside the bottom, however I have been using it for groceries. I just tote the box on my hip into the store. Now here is the Awesome Deal, you can purchase your System TODAY!! If you purchase your system this week, while the Giveaway is going on, and then are picked as the winner of the Giveaway, they will refund you for the purchase and send you your FREE Deluxe System. Be sure and watch my video review below. Giveaway will run from September 30th at 08:00 AM EST – October 6th at 09:00 PM EST. Open to Residents of the US only. Prizes cannot be shipped to PO Boxes. Winner will be selected automatically at the close of the giveaway by this entry system. Winner will be notified by email. Winner have 48 hours to respond before a new winner is selected. Please note that OOingle.com is not responsible for sponsors that do not fulfill their prizes. I have represented each sponsor with the expectation they will fulfill their prize and in a timely manner. I will contact the sponsor regarding your prize(s) immediately upon recieving a shipping address. The sponsors, in most cases, are shipping their items to you directly. I will make every effort to assist you obtaining your prize. If there is an issue with a sponsor, please notify the me within 30 days for assistance, after that we may be unable to assist you. The product provided for the review was free of charge from the company. The product offered for the giveaway is free of charge, no purchase necessary. My opinions are my own and were not influenced by any form of compensation. Facebook, Twitter and Google+ are in no way associated with this giveaway. By providing your information in this form, you are providing your information to me and me alone. I do not share or sell information and will use any information only for the purpose of contacting the winner. 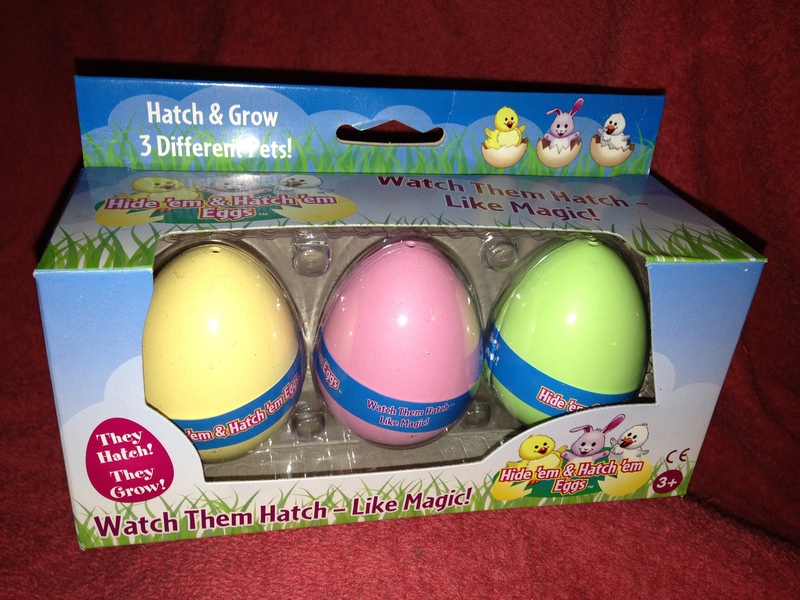 I was blessed enough to win one of these through another blog. I too started out with a binder, but it was so time consuming & I still couldn’t find the right coupons. I went to the filing method but I couldn’t take advantage of clearance or unadvertised sales. I have been using myCouponKeeper for about 2 months & I absolutely L O V E it!! I can take the whole box or just use a file for a small trip. I have jumped back on the coupon wagon!